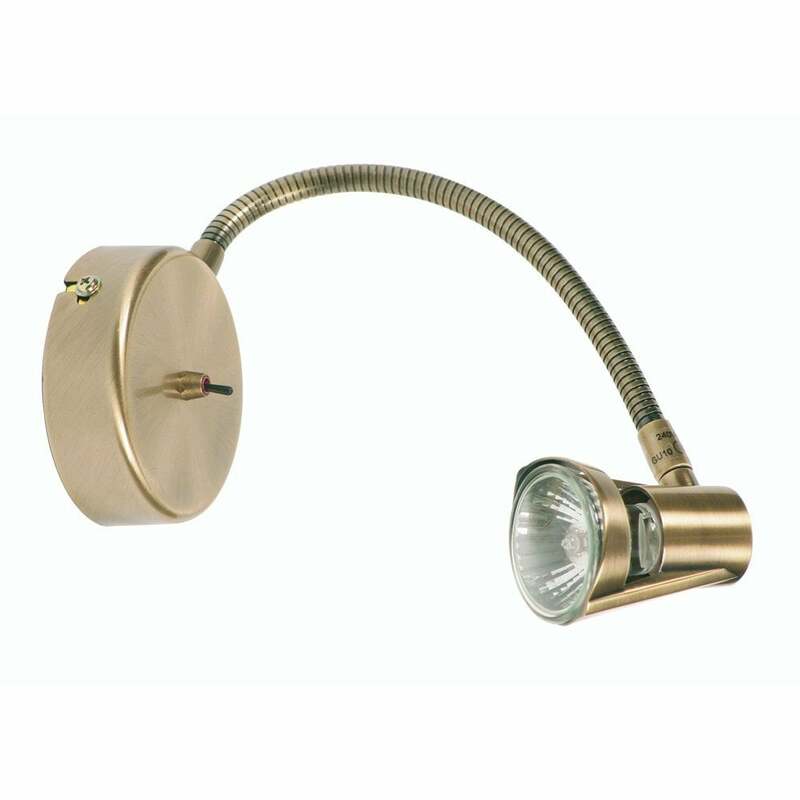 Oaks Lighting Romore single light spotlight wall fitting features a circular back plate in antique brass finish, holding an adjustable flexible arm with spotlight head. The product code is 3121 AB. Available in antique chrome, a 2, 3 or 4 spot light fitting and single light wall fitting is available to match which can be viewed on our website.